I love to have a coffee & a good chat, travel as much as I can, hug my family, share a wine with friends over dinner, get to know people and work with amazing people who are totally in love, who have a passion & zest for life! Capturing weddings is a passion and a love. If you don't mind showing your love, have a chilled out nature, appreciate that photography is one of the top must haves when organising a wedding then you are my type of people! I take it you must be recently engaged - congrats! It's an amazing time & plenty to organise. Take a look around my weddings and touch base with me via my contact page so I can find out more about your wedding day plans. For my family photographer searching friends - I can help you here too! I absolutely love photographing families outdoors in beautiful environments. Be sure to check out my family galleries and I look forward to chatting with you about your gorgeous family! What's happening this year for me, travel wise- 2019? And I'll be trying to throw in a trip to Melbourne somewhere in there too! 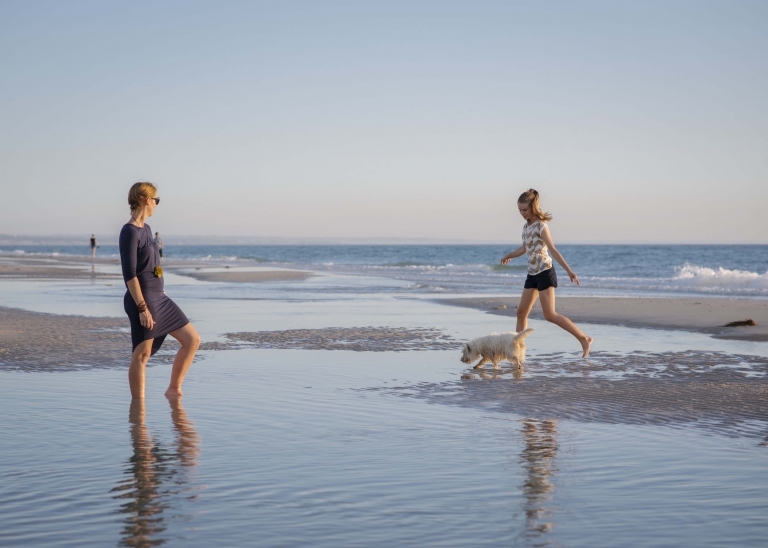 I am based in Adelaide, South Australia, by the beach but will happily photograph all over the countryside! Hi! This is me with my eldest and our beloved Westie, Archie! I'm not a fan of being in front of the camera, I much prefer being behind it! When I get laughing about something ridiculous sometimes I just can't stop. I prefer silly over serious /red over white (wine, of course!) /reading over TV - winter over summer (unless it's nearly the end of winter and I'm like 'enough cold days already - where's summer!! )/ hand writing in a paper diary over my iPhone diary (yep I'm old fashioned!) and running around a lacrosse field (still wishing I could feel like I'm 23!). 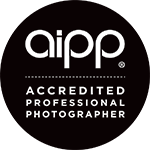 I've also been a member of the Aipp (Australian Institute of Professional Photographers) since 2013.